For more than 3,000 years, people have been measuring and marking land. Surveying is how we determine the position of buildings or plots of land before and during construction. 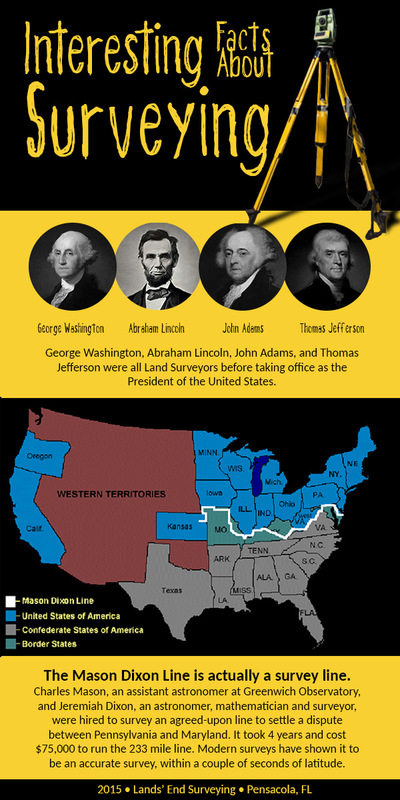 Did you know that there are American presidents who have been surveyors? You may have never considered it, but the Mason Dixon Line is actually a survey line. There are a lot more interesting facts about surveying and surveyors; this is just to start a conversation. What are some of your favorite surveying facts?